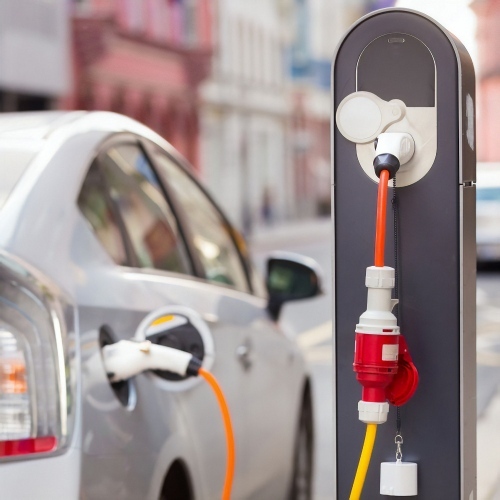 The parent company to cable ISP Virgin Media, Liberty Global, is planning to test a new concept in the United Kingdom that would harness their existing cable ducts and broadband street cabinets in order to help deploy charging points on residential streets for electric cars (EVs). 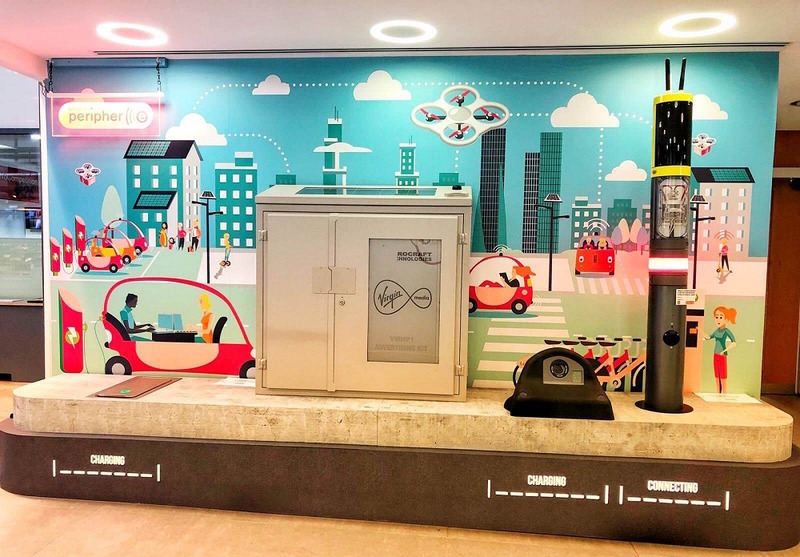 Naturally the c.40,000 street cabinet used by Virgin Media’s cable broadband and TV network already have their own power supplies, which with some extra expense could be upgraded to support a new network of charging points for electric cars. Deutsche Telekom has done something similar in Germany with 12,000 of their own cabinets. The fact that such cabinets would also have a data link could be another bonus, particularly with EVs generating ever more data about how they’re being used. According to the FT (paywall), Virgin Media has already received some public funding for the project (‘EV Charging for Public Spaces‘) from the Government’s Innovate UK programme (part of a plan to help reduce car emissions). 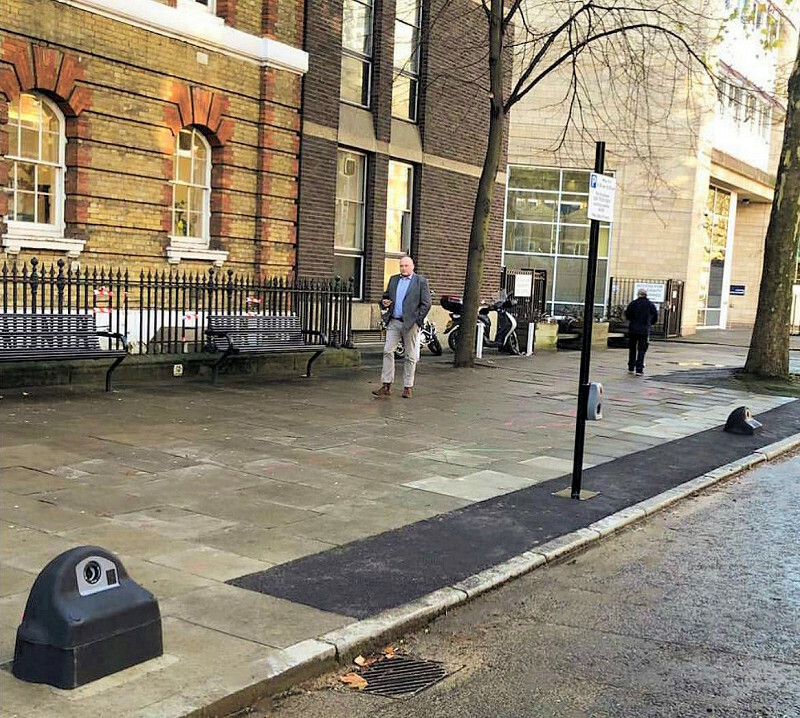 At first the new setup is due to be tested at only around six sites by Easter 2019, with the first trial starting this week in Southwark (supported by start-up Connected Kerb). Going forward it’s also anticipated that Streetplug and JuiceNet may become involved, although this is still subject to negotiation and possibly the outcome of Virgin’s trials. 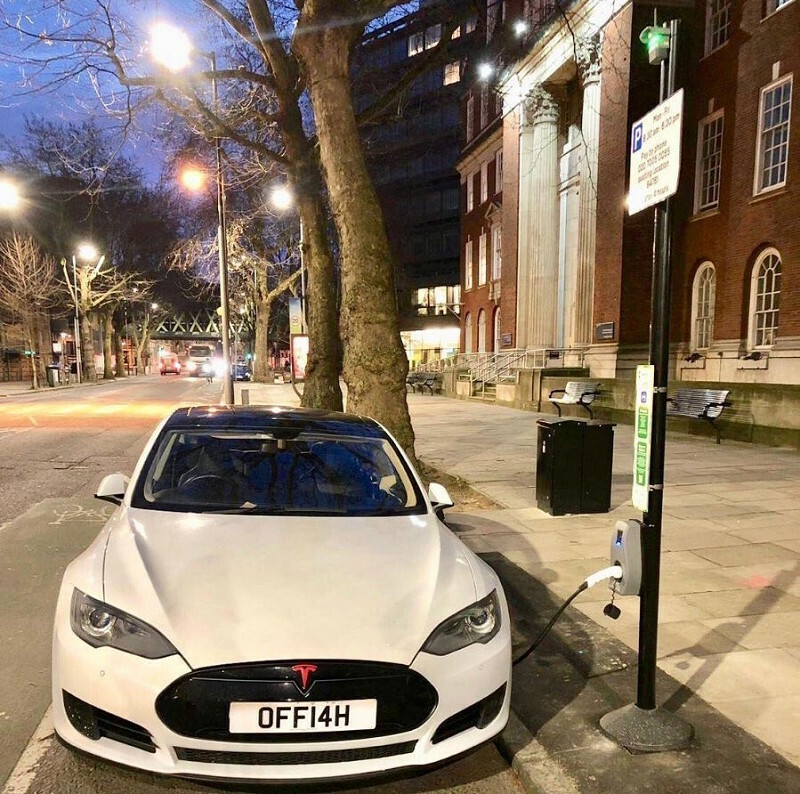 As we understand it the operator would be more likely to support the construction of new charging points near to their existing street cabinets (via existing cable ducts and connectivity), as opposed to completely converting their own cabinets. Liberty Global are also planning to conduct similar trials in Belgium via Telenet. The move could give telecoms operators another avenue to extract additional revenue from their existing networks. However we suspect that doing something like this might be much harder for arch rival Openreach (BT), which has certain regulatory responsibilities to consider with respect to cable ducts and other aspects of their infrastructure. We did ask Openreach but they declined to comment. We have been trying to get some clarification from Connected Kerb on precisely how they’re harnessing Virgin Media’s infrastructure (we think they’re using their fibre ducts for a new power cable and also data connectivity from their cabinets) but have so far been unable to get a response. In the meantime we have added some pictures of the new system below and included a comment from business ISP Glide. We also have some details of the charging rules. Apparently the max stay in a charging bay is 4 hours and the cost is usually £3.50 per hour (includes the cost of parking while paying to charge). See Smartkerb.com for more info. on that and if you stay longer than 4 hours then expect a £10 penalty. How much would that cost to add per cabinet i wonder? I assume Virgin would be acting mostly in a supportive / supply role here (not sure yet), with the other companies actually building the charging points (main cost comes from the latter). How much upgrading their side to cater for that supply would cost is a very good question. Hopefully somebody with more familiarity of EV charging points will have some input. I know nothing of the EV side but there should be ample power there and the power is usually one of the more difficult/costly issues with charging points (as indeed it is with cabinets). Sounds a win win. Re power, for a fast EV charging point you need a 100A supply and that would imply the cabinets already have that – not so sure. Typical cable cabinet won’t need more than 32A. As for other detail will find out tomorrow. Virtually no cable cabinets have direct mains power. There’s a single cabinet taking the mains feed per optical node of about 500 premises passed on the HFC network and only a single powered cabinet per ~3,000 premises passed on the FTTP network. There may in some areas be an extra power cabinet but this project is only going to be providing pavement real estate. @5G Infinity. For fast charging (7kW) a 32A feed is needed. Any more than that to be useful most EVs and you’d need a rapid charger which supplies 50kW and upwards of which the feed from a cabinet I suspect would not support. As stated, I guess this is use of the ducts through which power could be feed to a receiving charger. Regardless, this is all good, positive stuff. @Martyn – 50kW at what voltage? 400V on three phase. It’s a pretty hefty cable, especially on the faster ones appearing now which run at higher power ratings. I believe the 150kW chargers have liquid cooled cables. A good explanation here. The Fastest charging is essential at service stations etc when you are part journey. Residential kerbside less so I think as ideally you’ve be charging overnight. Hopefully this will encourage further rollout if profitable. The going rate for non subscription services tends to be around 30-35 pence per kWh which is much more expensive than a domestic charge but much cheaper than the fossil fuel equivalent on a pence per mile basis. I’m pretty sure that charge networks have a business model that would not send them bust! There are a number of schemes for EV points. Afaik they still exist for example one is a grant for LG to buy points. Tax relief for EV point expires next financial year iirc unless its been renewed. Home chargers maybe yes. There’s the OLEV grant but for public charging; no subsidies currently for public charging networks. You may be thinking of the government grants which councils can apply for which may go towards public charging but when the provider puts the point in directly; no subsidy. What a simple but great idea, suprised we have not seen something like this sooner from someone. I wonder what percentage of cabinets this would be practical for? Presumably not all will be in unobstructed parking areas. Unless the additional charging points could be a small distance away. Quite a lot of headend cabinets for smaller networks and rural areas are street-side or in/near car parks, so this does have legs. Absolutely, yes, it’s a great idea. I’m just wondering how many are also on junctions, double-yellow roads, etc. I live on a terraced street with road parking, and would love an EV if charging were possible. They’d need to set aside some dedicated spaces (which will likely get ignored). I *think* the nearest box to me might be near yellow zig-zags. This is probably more about providing pavement real estate, the VM cabinets themselves apart from the one actually taking the mains feed are not capable of charging cars and that one VM aren’t going to want using their power supply once it’s hit their meter. This in principal is a good idea, but the security of these now dual purpose cabinets would need to be scrutinised. The same simple idea of using the street lighting was recently thrown in the pot. I would be very very wary of plugging an electric car into either solution where the location is in a busy council estate where vandalism is rife. I’ve heard stories of these cretins unplugging the leads for a laugh. The mass installation of charge points at out of town shopping centres next to Fast food/Coffee shops/restaurants should be pushed forward. Especially if the charge to 80% in less than 30 mins becomes very common. On most if not all EVs, the change cable is locked to the car until unlocked by the driver so it’s not possible to remove while charging and only possible to remove once charging is complete if the car is set to do so; which generally you wouldn’t do. A good idea in principle, for cabinets in areas with parking provided they are close to the curb. I believe that BT has done something similar with some of its payphones, replacing them with EV units, possibly others have too. As others have commented though, the power supply does need to be upgraded to support fast charging. I hadn’t heard of that idea. That makes great sense. 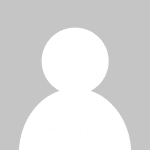 Do you have a source for that information, I’d like to read more about it. From memory, I think I read that it was trialled in Westminster, will see if I can locate more detail courtesy Google later. Yup I agree 100% on the comment on fast charging necessitating an awful lot of juice. The reality is that the 16A or 32A that can be drawn from a lamppost is fine for an overnight recharge. Although given my personal experience of looking at under pavement cabling, you know the kind that is tar_and_paper_insulated_cables_under_a_row_of_bricksTM, I’d be surprised if we didn’t see a few blown lamppost cables where the wires have started to corrode through. TBH the same will happen when a lot of the 1920-1950 vintage, totally_rusted_thought_cables_with_neglible_insulaiton_TM are fully loaded up with 100A. About 5 years ago we had one of those that literally fell apart – and I wouldn’t have believed it had it not been caught on camera. Nobody anywhere near it: just blew. When EDF cut the section of cable out, cut being a generous term that assumes a gerbil couldn’t have removed it, you could literally crumble the whole thing including the copper core in your hands. Anyway that might benefit forcing another network to upgrade……. I agree with CarlT that only 1:100+ cabinets can be tapped up for power so I kind of don’t see how VM really get to give anything except for duct space? And I am kind of amazed that VM want to share their ducts with 220V when OR made such a meal out of using their ducts to run power to the phone pole: or was that just an Elf’nSafety myth to stop fibre to the pole one wonders? Never really saw why it would be an issue with fully armoured cable as the HSE are perfectly happy with steel armour on construction sites at 220V. In an ideal world running power in ducts that flood is not ideal but its perfectly doable. If it is in armoured cables that are protected by an RCBO dual pole device then there is close to zero risk. TBH if it is direct burial armour then it is legit to just put it wherever with no other protection in place. That is sort of the point of steel armoured cable! The issue always is that every engineer woking at the output end needs to be able to get to the RCBO device for lockout and to reset it. Any kind of protection device is also sensitive to being tripped by events. So in some environments electronic resetting is used but this creates issues with lockout procedures. None of this is unsurmountable as the technology is all there and deployable tomorrow. A-Builder: Those points were exactly what I was alluding to. This is something I know more than a little about! I have often wondered whether we could adapt our existing infrastructure to support EV charging. 1) Most roadside telecoms cabs have an 18kW feed of which we use in reality very little, so there would be in theory headroom for a couple of 7kW ‘fast’ charging feeds… but not a lot more. Is it worth the effort? 2) The Electronic Communications powers we use to plant cabinets grants us permission to do so only for the purpose of providing telecoms services, EV chargers require planning permission. 3) Health and safety – typically our cabinets (and VMs) sit on the back of the footpath meaning that a car charging from one would need a trailing cable – that would be a trip hazard. Not to mention any issues with parking a car at the location. 4) Running power cables at high voltage through telecoms duct that contain copper telecoms cables is a no no simply from the safety perspective. If it’s only fibre then possible, and there are certain ways of sending up to 2kW safely at lower voltages. 5) It’s possible that VM are using unmetered supplies to their cabs – in which case they are approved to only use a certain known electrical load. I can help somewhat here. 1) As mentioned VM use a single power supply to power many cabinets. They don’t really have a huge amount of room so this isn’t going to be using their feed. 5) At least in the new builds and some of the older ones VM use a metered supply – you can see the meter from outside. I’d agree with Carl. This is more likely duct sharing than power feed sharing but regardless, it’s good news and if anything, it’s encouraging to see utilities thinking creatively about these things. Surely the point is once you have power at a cabinet getting more power to the same point is substantially quicker/cheaper than starting from scratch. Surely all you would have to do in that instance is run a cable from the cabinet underground/under the pavement to the kerb/gutter/roadside and a connector or connection point there. People walking on the pavement would not then trip over it. Or in simple terms, the old extension cable under the carpet/floorboards. I have been living in Sevenoaks for 18yrs and still unable to get Virgin Media, I asked why at the Virgin Shop in Bluewater why and when it would be available and was told that it was a political decision. Anyone like to answer this? Whats that got to do with this article? Contact Virgin Media rather than a Virgin (Mobile?) shop. Ive been living on Mars for the past 20 years, and still unable to get BT FTTP. I asked a BT engineer while out and about in his flying saucer why i had not yet got FTTP. I was told its due to a federation of planets decision. Anyone like to answer this UTTERLY POINTLESS AND STUPID UNRELATED COMMENT ALSO? Now that power companies can boast smart readings, and if a lot of these charge points may require *some* street work to extend box power to the kerb, can’t the national grid running down the street be tapped into? You’re laying extra power cable where there is some, no? The one biggest issue i see with electric cars is if we all had one like the government and the eco mob would love you would need FAR more power stations then we currently have. Power companies have issues now with the supply when some highly viewed TV programme has a commercial break and everyone goes and puts the kettle on let alone everyone putting there car on charge when they get home from work. I like electric cars and the tech in them is only going to get better, trouble is like anything the government push on us nowadays is there is no thought in how you are going to maintain/supply something once its implemented or everyone has it. All the new houses they want built is a similar story, its all fine and dandy until you need to supply all those new homes and people with the electricity, water, road infrastructure, local doctors etc etc. It then seems to become a cluster f**k where the resources needed cant be met. Wrong on nearly every count really. the National Grid have already responded to the “the grid won’t cope” concerns and yes it can. Last year the UK used the least amount of electricity for 25 years. The equivalent of 2.5 Hinckley Point Cs apparently. So we’ll be OK.
Erm i dunno how new or old that link you provided is but it is laughable, not only because its based on guess work, but based on the fact their figures only focus on cars with there quote of “a total car fleet of 31 million” a pity when the total amount of vehicles on the road are another 20% odd on top of that or 38.4 million. As for their quote of…. THEY are wrong and i and what i stated is right and it can be demostrated throughout history……. People do want to boil their kettle at the same time when their is highly viewed TV as i stated. People unlike what they hope and prey with their “People arrive home at different times and have different routines, with only one in five expected to charge at peak times.” clap trap will also want to charge their electric car when they get home from work. Why when it comes to the evening is 5-8pm the time in the evenings when most cars are on the road if its not people coming home from work????? Im shocked you are even trying to argue that point as an EV car owner i suspect you charge it every day, every other day or once per week (depending on how much you use it) I would also dare go as far to say when you do put it on charge its not at some random totally random time in the day, but within a specific time slot of no more than a couple of hours here or there. As for Hinkley point C (if it gets built) and other power stations and the future demand for power your link elaborates on and it not being an issue obviously neither you or they got the memo from Toshiba about the now missing 7% of future power for the country LOL. Electric cars are nice, they will cut a lot of pollution in built up cities and make the air in them far better, but please do not try to talk to me like some fool and preach they solve everything, and their is no issues because there will be issues still and because they do not solve everything (I wont even start on how the battery in them is still basically dependant on LIMITED resources on this planet, you know like oil is/was… Im assuming you know whats needed to make the batteries for this wonderful future). My sincere apologies, it was not my intention to make you out to be a fool. Your responses seem to be doing that job just fine. I’m pretty sure that at no point did I suggest that EVs “solve everything”. Of course they do not. As for charging, mine is set to charge in the early hours of the morning when there’s less demand on the grid as to most EV owners. As for battery resources, of course they need to be sourced but the components are plentiful and once made, a battery can be charged many times. You can only burn petrol once. Your battery (the vessel) hits empty you refuel it (propellant for vehicle) with electricity. A Petrol tank (the vessel) hits empty you recharge (propellant for the vehicle) with Petroleum. Petrol tank container, lasts and can be used easily for……. Well over 50 years. Battery the container for the electricity can be used for how long????????? As for battery resources like lithium, you best go google that a bit more because it sure as hell is not “PLENTIFUL” There is far less of it on this planet that there every was oil. After that you can go mine some more Plentiful Lithium in you big nasty Diesel bulldozer. Now BEGONE and save the planet. Thanks for the chuckle David. Some amusing comments there. You were joking right? You seem very angry, or your comments suggest you are. Relax! In the words of Mr Speaker, “Zen”. Once you have relaxed. Go read. there is much to learn. How do I know this? I thought like you a few years ago. Im not angry at all. Why would i be angry? If anger is pointing out you do not understand the difference between a fuel and a container for fuel that is news to me. If anything im giggling that your chosen “ego friendly” vehicle still relies on crude oil before it even touches the road and you did not appear to even know it. Oil, dirty, bad for planet…. That is what the save the planet regime tell us right? I had no opinion negative or positive about electric cars until I test drove a Nissan Leaf for a full month and after the experience decided not to buy one or any electric car until the tech matures a heck of a lot more. You can not depend on it for any emergency or long distance drive. Two examples of this during my short time living with it included the Mrs going to a work event about 50 miles away one evening only to find when trying to come home there was a problem with the trains. Like any family member they called home at around 11.30pm seeking help. If i did not have my faithful petrol car also she would had been stuck because the electric car i had on a full charge is only capable of 168 miles. She was 50 miles away meaning a total journey would be 100 miles (50 there and back) the car at 11.30pm though was only at around 50% charged (or would if lucky had done 84 miles) she would had been screwed. I can not image how stressed a parent of a teenager would had been (thank god mine are well passed that and flown the nest). The next dilemma was my work and needing to visit another of the companies offices aprrox 70 miles away (so there and back would be about 140 miles) the car is supposed to be able to do 168 miles on full charge so all should in theory be fine. Being diligent though i decided by now not to trust the thing and plan in advance making sure i knew where all the charging points were before i left not only along the route i was taking but other routes. Its a good job i did because yep you guessed it with about 20 miles to go on the journey back i had to find someone to charge, so the car had only managed 120 or thereabouts of its claimed 168 miles range. I admit the journey was a lot of motorway miles (2 quarters to maybe 2 thirds of it) but thats still 48 miles less than what it claims it can do or in simple terms 120 miles instead of 168 miles is almost 25% less than what it claimed. The only thing which went to plan there was an angel looking down on me and the charging point i found actually working (half on them in the town i live have not for months). Even then i had to linger around for an hour at the 22kw charge point to make sure i got enough charge to make it back to my regular office. Of course when i got there i also had to plug the thing in again to make sure at the end of the work day i would be able to get the next 50 miles home also. So after all this what car did i end up buying…. Yep a big nasty diesel. Since the experience ive looked more into the tech of electric cars like i said i had not listened to either opinion on them before hand or knew much about them and it turns out they are not as clean as some that like to preach about them would like us to believe. Lithium depending on where in the world it is mined is typically stored in mineral or crude oil byproducts, workers in some countries mining it are almost like slaves. Much of it from certain countries seems to be in mountain ranges, so the future seems to be not only sky higher electric bills as demand grows but now ruining some of the most natural and beautiful landscape on the planet. Its basically just replacing one fossil fuel with another just as oil and coal that came before it. Inner cities may well have cleaner air, but the price and damage to the planet elsewhere due to mining and extra power stations being built (again just like oil and coal) damage to the landscape and wildlife will be just as bad. I guess thats the trouble with tech nowadays too many jump on the bandwagon and want to shout how great something is without all the facts. First the church of Apple, Then the disciples of Elon and now we have we just have the plan regular EV-angelists, piping up.